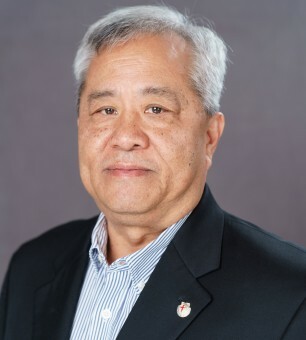 Thomas Chin has over forty-five years of experience and knowledge in Accounting/Finance and Information Systems. Thomas’s diversified background in these fields include consolidations and reporting, budgeting and forecasting, acquisitions and divestitures, information systems conversions, development and implementation. Thomas is currently retired. Before retirement, he consulted with Consolidated Bakeries (Jamaica) Limited and Chicken Mistress (Island Grill) providing them with accounting/financial and IT management services. Thomas was the Vice-President of Finance at Columbus Communications Jamaica Limited (FLOW) before retiring. Prior to that, he had a long distinguished career at both Rogers Communications Inc. and Rogers Cable Systems Limited, and ultimately retired from Rogers Communications as Director of Financial Operations. Thomas is a Chartered Professional Accountant, and holds a Diploma in Accounting and Finance from Seneca College. Thomas also serves as the Chairman of the company’s Audit Committee and a member of the Remuneration and Corporate Governance Committees.